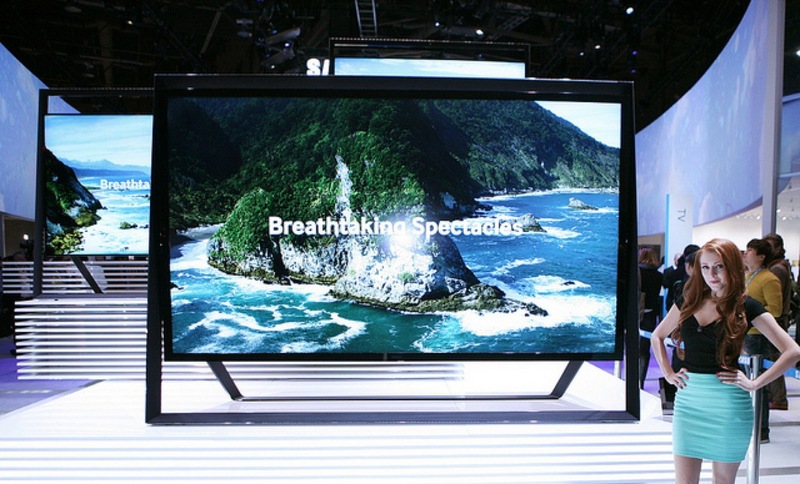 Samsung today announced that the new affordable alternative of highly expensive 85” ultra high HD TV which cost $40000. The new line of UHD TVs are not as huge as the 85” but certainly they are more affordable. Samsung’s new F9000 series of 4K UHD TVs will The 55” and 60” variants will provide all Smart Hub features, XBOX’s Kinect like functionality for gesture and voice control and crisp 4K image quality. Both the models will come with Samsung’s latest innovation Quadmatic Picture Engine, which will upscale HD or even SD videos to 4K resolution. “Now home entertainment lovers will have the opportunity to truly see and enjoy their favorite shows and movies like never before, in crystal-clear ultra high-definition, and in the beautifully designed 55- and 65-inch sizes they demand,” said Joe Stinziano, executive VP of Samsung America. Samsung F9000 will cost $5,500 for 55” model and $7,500 for 60” model. If you think this is an affordable bargain then you can pre-book one from 21st at selected retails and it will ship sometime in early August.